The grieving parents of a Cape Dorset infant, whose controversial death in 2012 led to national headlines and an apology from the territorial health minister, may get stuck with the Government of Nunavut’s legal bills in a wrongful death lawsuit they filed. That’s according to a motion filed by GN lawyers this past Oct. 25 at the Nunavut Court of Justice in Iqaluit. The motion asks the court to summarily dismiss the lawsuit, which was filed on behalf of the couple in 2014. In a recent interview, the young Inuit couple said they were “shocked” by the motion. “After all the mistakes the government made, now trying to make us pay their legal fees—we don’t think that’s right,” the baby’s father, Luutaaq Qaumagiaq, said from his Kinngait home. A 2015 report into the GN health department’s mishandling of three-month-old Makibi Timilak Akesuk’s death uncovered substandard health care service the night of his death, a toxic work environment at the local health centre, broken chains of communication, and a failure to follow their own rules for investigating such deaths. “There was no investigation undertaken by the Department of Health specific to the death of Baby Makibi at the time of the fatality nor at any time thereafter,” wrote the report’s author, lawyer Katherine Peterson. The GN’s recent notice of the motion, which requests that the court grant “costs to the defendants on a solicitor-client basis,” came as a surprise to the parents when they received it in the mail in November 2017. The parents allege their lawyer didn’t inform them that the lawsuit had been filed on their behalf. “We were shocked, because we didn’t know anything about [the lawsuit.] The lawyer we had didn’t tell us she filed it,” said Neevee Akesuk, the infant’s mother and the executor of his estate. Donna Oliver, a lawyer based out of Edmonton, filed the wrongful death lawsuit on the couple’s behalf in July 2014, according to court documents filed in Iqaluit. Oliver filed a slightly amended statement of claim in March 2015. A few months after that, without knowing either of the statements had been filed on their behalf, the couple fired Oliver, Qaumagiaq said. When asked for comment on the allegation that she may have acted without her client’s knowledge or consent, Oliver replied via email. “I am not in a position to comment… I have solicitor/client confidentiality obligations. I cannot comment on the interaction between a client or former client and myself,” Oliver said. Oliver did not respond to a follow-up request for a general comment. Originally, Nunavut’s chief coroner listed the cause of death of Baby Makibi as sudden infant death syndrome, or SIDS—a category of mysterious infant deaths used once all other known possible causes of death have been ruled out. But the Ottawa pathologist who performed an autopsy on the baby found evidence of a lung infection called cytomegalovirus, which led to a change in the reported cause of death. That turned out to be a mistake, according to other pathologists who were later consulted at the coroner’s request. The cause of death was once again changed back to SIDS. The 2015 government report into Baby Makibi’s death, called “A Journey Through Heartache,” made 47 recommendations to the government, including that a coroner’s inquest be held to clear up the confusion surrounding the death. That inquest, which the family had also been requesting, took place in late 2016. And although the inquest provided the family with some answers, the young Inuit couple said they still suspect a government cover-up of what killed their baby. “Makibi didn’t die of SIDS. The autopsy showed his lungs weighed double what they should have, because of congestion. He couldn’t breathe,” the baby’s mother, Akesuk, said in a recent interview. The parents echoed the government’s 2015 report when they said many in the community of Cape Dorset continue to mistrust the health care service delivered by the local health centre because of tragic incidents like theirs. “Makibi’s birthday was just last week, he would have been six years old,” Akesuk said. That’s why, although the couple said they didn’t know the wrongful death lawsuit was filed, they plan to continue pursuing the lawsuit against the government. A hearing for the government’s motion to dismiss the lawsuit was adjourned from Dec. 12 to March 14 to give the couple time to find a new lawyer. 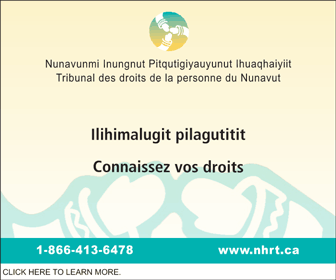 The Legal Services Board of Nunavut, which provides free legal service to many Inuit who appear in court, cannot represent clients in wrongful death lawsuits, according to the regulations that govern the board. Instead, private lawyers who agree to work on a contingency basis for part of a possible settlement—usually about one-third of any money won—usually take on such cases in Nunavut. Finding a private lawyer can be difficult in such cases, since the lawyer must believe they can win enough money to make it worth his or her time. The wrongful death lawsuit asks for $75,000 in damages for Baby Makibi’s death, unspecified special damages, and compensation for other expenses, including funeral services and grief counselling. The GN’s motion to dismiss the lawsuit argues that the original statement of claim after the two-year time limit for filing such a lawsuit had expired. The motion also alleges evidence given at the coroner’s inquest does not support a wrongful death lawsuit. 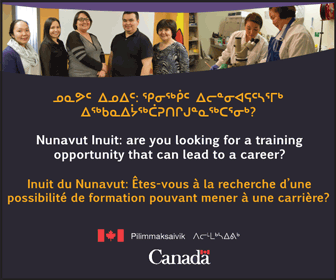 The hearing for this motion is scheduled to take place March 14 at 9:30 a.m. at the Nunavut Court of Justice in Iqaluit.